4G is an incredibly rare cross between Gelato #45, Gorilla Glue #4, and Girl Scout Cookies. An indica dominant hybrid strain, 4G takes on the distinct earthy smell of it's Gorilla Glue parent, yet it can be a bit more mild. 4G's effects can leave you with bouts of laughter and feeling a bit like a social butterfly. Its physical effects will come on quickly, erasing pain and tension, leaving only a tingling numbness behind. People have reported 4G as a great choice for anxiety, depression, chronic pain, nasuea and insomnia. Humboldt Confidential is known as a very popular and successful strain. Its buds have a frosty, lime green appearance and little purple leaves. The taste is smooth and piney, with a classic skunky aroma that does not linger for too long. 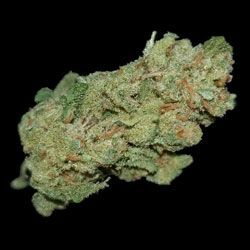 Overall, Humboldt Confidential is a well-rounded strain that delivers a fast-approaching sensation that is both psychedelic and super calming on the mind and body. For newer patients seeking relief, Humboldt Confidential can both lull you to sleep and treat acute pain. 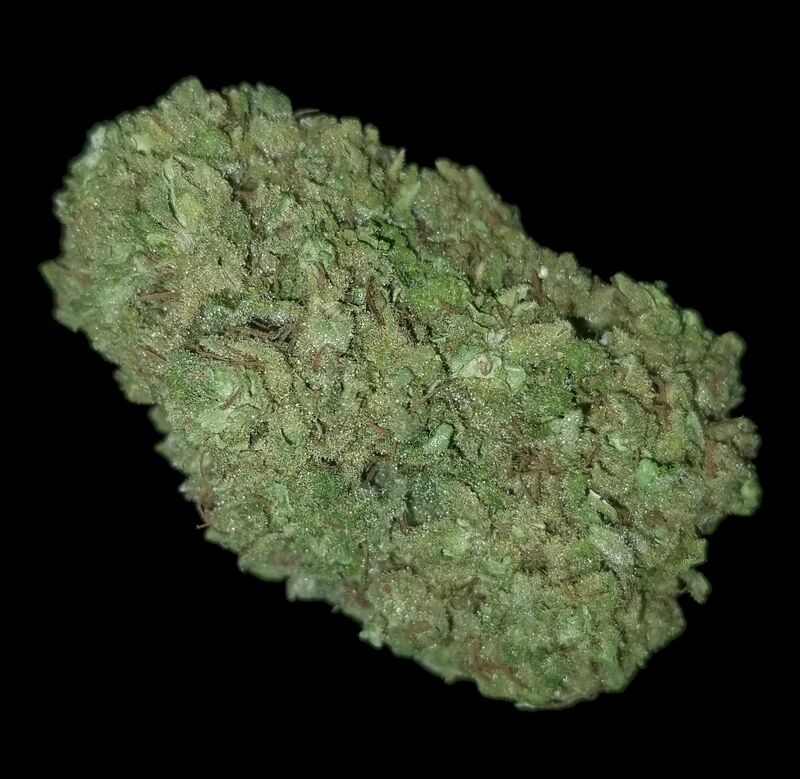 Alpha Dog OG, also known as Alpha Dog, is a heavily indica dominant hybrid strain originating from San Diego. A Cannabis Cup winning strain, Alpha Dog OG has thick, dense nugs covered in spindly, orange hairs and a fine layer of crystal white trichomes. 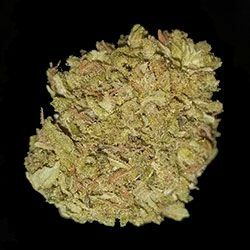 Sometimes users will experience a sativa like onset, but this initially energetic and euphoric burst will fade into an indica body high that leaves you very relaxed and incredibly sleepy. 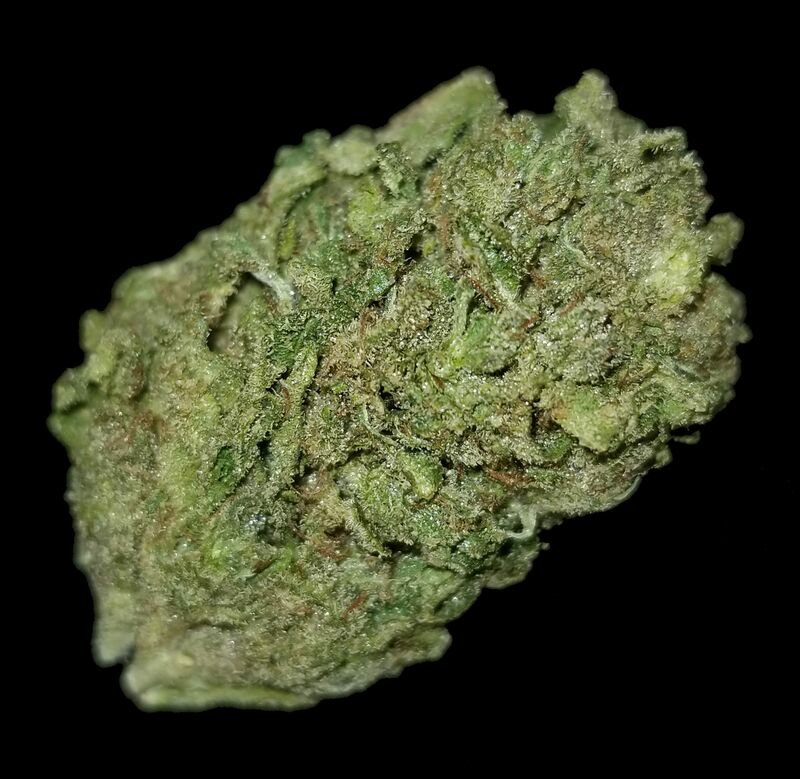 Hulkamania is an ultra rare indica dominant cross between Monster Cookies and the potent Bruce Banner. Named for the legendary wrestler Hulk Hogan, the Hulkster, once you experience the pain destroying head, you'll see why! Starting with an intense euphoric lift that slams through your mind, a tingle will soon begin to build and spread throughout the body leaving you aroused, super relaxed, and completely pain free. People find Hulkamania helpful with depression, headaches, inflammation, insomnia, pain and loss of appetite. Ghost Rider OG combines genetics from two legendary strains to produce an indica-dominant powerhouse. Parent strains include Biker Kush and The White. The White is known for its unbelievable density of beautiful bright white trichomes while Biker Kush is cherished for its classic Kush flavor. The result is a bud with flavors of Pine-Sol, citrus Kush, and earthy hash. The high is potent and sedative, making it a good choice for relaxing and winding down. Moon Walk an indica-dominant strain created by crossing rare strains Purple Cow with Square Dance. With its calming effects, this strain is perfect for anyone looking for a balanced indica to feel at ease after a long day of work or play. Moon Walk’s flavor is spicy with memorable citrus notes, and its buds are dark green with purple accents shaded by dark orange hairs. Shishkaberry, or “Kish,” is an indica-dominant strain that came about from crossing Blueberry with The Red. Shiskaberry’s buds have a fruit and berry aroma and will be painted with shades of purple. Its initial head buzz is happy and good for finishing things up or being social, but once its indica side kicks in, lazy is the word. Speedy Chili is an Indica dominant strain brought to you originally by Royal Queen seeds. Nugs are lime green with rusty pistils and a sharply angled silhouette. It tastes like cocoa, earthy oranges, and pepper. Speedy Chili can be used to help with insomnia, pain, depression, migraines and appetite loss. This strain is ideal for evening usage. Speedy Chili's high will make you feel totally serene with a relaxing, euphoric undertone.